Scottsdale Bible’s Women’s Ministry is designed for you to connect with other women, grow in your faith and use your God-given gifts to love and reach others. Our Bible Studies, outreach partnerships, unique programming, retreats, and special events are designed to help women develop deeper relationships with the Lord and eachother. We are committed to leadership development and helping women find their unique place at our church. Whatever season you may find yourself in, we have a place for you! Please take a few minutes to explore what we have for you! If you desire to know God more by spending time in His Word, then our Women’s Bible Studies are for you. Join us for fellowship, worship, teaching, prayer and small group time. This is an incredible way for you to nurture yourself spiritually and have a great time doing it! We have many options to choose from at our Cactus and Shea campuses. Scottsdale Bible considers studying the Word of God a priority, and this is a key foundation of Women’s Ministry. We are blessed with an incredible team of gifted Bible teachers who inspire and encourage us to grow in our walks with Christ. Each teacher spends many hours in preparation and prayer. Their caring leadership allows women to learn and apply God’s Word while connecting with others in a small group setting. We have two exciting programs to help you connect with other moms and grow in your faith. Come join us! MOMS is a community for mothers whose youngest child is five or younger. We learn, play, pray and grow together by focusing on Jesus’ teachings and how it relates to our lives and homes. Registration is currently in a waitlist format to ensure we have childcare requests covered before confirming registration. After receiving your registration request, we will let you know if there are spots available for you and your children, and if so, send you a payment link. Each registration will be handled in the order it is received. Thank you for being patient with us, as we strive to be thorough and respectful to all of our moms! Questions? Email us at women@scottsdalebible.com. Marketplace MOMS is a fun, Christ-centered community for working moms whose youngest child is in fourth grade or younger. Through biblically sound resources, great speakers, encouragement and friendship, we’re inspired to make a difference in our homes, friendships, and with our kids. We have MORE for moms at SBC – more growth, more community, more for you! Whether you have toddlers, teens, or kids in between or beyond, come join us! We invite you to enjoy a community potluck breakfast (open at 9:15am in room A6) before classes begin at 9:50am. We live in a culture that craves authenticity but struggles with knowing how to live there and grow there. If you are looking for a place to go deeper relationally with fellow moms, mentors and in your relationship with Jesus, look no further. Jesus said, “Follow me.” At the very outset of His call, it was an invitation into relationship with Him. In this hybrid class/discipleship groups led by Michelle Clifford and friends, you will be invited to follow that call and step deeply and practically into your relationship with Jesus. There will be an option after you sign up through email (we will send this out to you) where you can sign up with a friend or a mentor or we can place you in your group so you can meet some new friends. We hope you accept our invitation to a deeper relationship and intimacy with Jesus and to live life more fully and authentically together. Today’s challenges can make a fulfilling marriage seem like an impossible dream. Yet God delights in doing the impossible if only we would ask! This class will joyfully inspire you to develop a deeper relationship with your husband by utilizing the amazing power of prayer and you will learn how God can strengthen your marriage as you pray for your husband. Let’s gather together with teacher, Michelle Crane, in prayer for our marriages and see what God can and will do through the power of prayer. Come hear how to bring an atmosphere of grace into your home and learn to love the special role in your family God has designed for you! Teacher Amy Cavness will present topics that will be relevant and fresh for past attendees and newcomers alike! New to the area? We have a class for you! Studies reveal that moving is among the top stressors, especially for women. Attending our After the Boxes are Unpacked class is a great way to ease this time of transition. This 10-week class addresses the emotional struggles and the opportunities for spiritual growth that come with moving. It’s based on the book After the Boxes Are Unpacked, and taught by its author, Susan Miller, President of Just Moved Ministry. Join us for our next study! We have a wonderful group of widows who have a very active group. For more information on how to get involved with this fun and encouraging ministry, please contact our lay leaders: Vy Doherty at 480.661.8130 or Sally Dahlstedt at 602.703.3587. We will be decorating birthday bags that are used to wrap presents for valley children in foster care. This opportunity is for moms only. If you have a heart for prayer, join with other faithful women of all ages who pray for our church, the personal needs of those in our church family, and each other. Come whenever you can – they meet weekly, rain or shine. For more information, email women@scottsdalebible.com. This group meets to pray that God would transform and inspire our children and schools (private, public, or homeschool). For more information, email women@scottsdalebible.com. Emergency Prayer Needs? Please call the Prayer Request Line at 480.824.7350 x625. When you leave a message, your requests will be prayed for by our church leaders and prayer teams. If you would like to pray for emergencies, leave your email on the message. Have you or someone close to you been diagnosed with breast cancer? Women who have experienced this disease would like to offer you a listening ear, words of encouragement and confidential prayer support during this challenging season of your and your family’s life. To learn more, email women@scottsdalebible.com. Come learn how to creatively render what God is speaking to your heart through His Word using color and various lettering styles in your journal. We’ll discuss how to get started, the best tools to use, and using your personal study and worship to respond to God’s love letter to you in the Bible. No artistic abilities are required. Get more info and sign up here. Do you love to knit or crochet? Join us for a great time together as we learn to make prayer shawls that will be a blessing to others. Threads of Hope provides simple dresses and shorts to children in need around the world. Women meet monthly to sew clothes that are taken by SBC’s missions teams to orphanages, refugees, or low-income communities. Often, this is the only piece of clothing a child will own. A Threads of Hope label is sewn on to the hem of each garment to help protect children from predators, letting them know these children are under the care of a loving organization. If you don’t sew, you can help with cutting, sorting, packing, or by donating new/gently used pillowcases, fabric or decorative extras. We would love to have you join us! Email threadsofhope@scottsdalebible.com to learn more. WILD is a leadership development program designed to equip women to more fully glorify God by identifying and developing their leadership potential so they can serve with confidence in their spiritual giftedness and unique calling. In WILD, you’ll be inspired through personal discovery and development of your gifts and skills; be given curriculum that will challenge and define your unique calling; be equipped for leadership within the church and beyond; be a part of a supportive community that provides accountability. What Can I Expect from WILD? This one-year program is set up with a small group format, allowing lasting relationships to begin. Classes are interactive with opportunities to get to know all the women in your class. During the year, you’ll also have hands-on experience in leading. Program content includes learning about the development of a leader: character, passion, spiritual gifts, personality, mission statement, care, and sharing your story. You’ll also learn about the development of leadership skills: the many hats, leading a small group, sharing your faith, the art of speaking, communication skills, conflict resolution tools, project management and team building. After the class, you’ll have an opportunity to practically apply what you’ve learned through service in leadership at SBC. The $100 program fee includes all materials and books. Participants are expected to attend all WILD classes in order to receive the maximum benefit of this program. To learn more about the WILD program, please contact Margi Galloway, Minister of Leadership Development at 480.824.7240. Our Women’s Marketplace Ministry is dedicated to reflecting God’s love and sharing God’s truth while meeting the unique needs of women employed in the business and marketplace community. 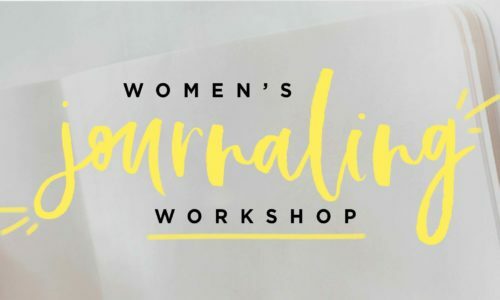 We offer various events for women to connect with each other, engage in professional development, and learn how faith in Jesus can help us be stronger and more fulfilled in our lives, friendships and work. Marketplace Women have committed to serving at SBC’s community partner “Hope Women’s Center.” Our serve events include collecting items in need to stock their “boutique” thrift shop where women in need can shop with points. The true life stories of changed lives are inspirational and it is a joy to be involved in supporting this ministry. To stay up-to-date on Marketplace events and happenings, join us on Facebook, or contact marketplacewomen@scottsdalebible.com.